See this FREE, full color guide to learn about different types of screwdrivers, construction materials, home designs, architectural styles, and more. This image-packed glossary introduces the equipment, tools, tips, techniques, structural components, and design elements involved in architectural, interior, and landscape designs. Dream up your own ideas from this carefully curated collection of images with concise, instructional definitions. Armed yourself with basic knowledge of construction terms and techniques. Familiarize yourself with all the different types of screwdrivers, and so much more. Scroll further down for related links. Also see links to other Free Books by this author. SCREWDRIVER: A handheld tool used for turning screws. 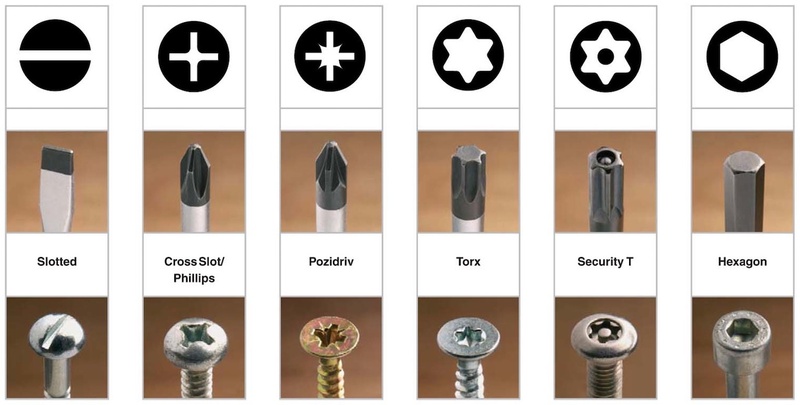 There are many different types of screwdrivers, used for turning many different types of screws. Shown below, the six most common different types of screwdrivers.